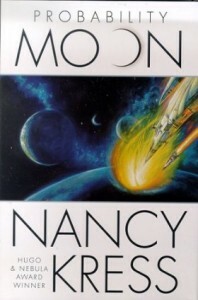 I cannot explain how wonderful Nancy Kress’s writing is to someone who hasn’t read it; suffice it to say that I have been an avid reader of science fiction and fantasy since I was in grade school, and I think of her as one of a very few authors who stand atop an impossibly tall (if rather narrow) pedestal. As her bio below details, her stories have won numerous awards and for me are representative of the brilliant blending of hard science, sociological insight, and subtle humanity that are on display in the best modern science fiction. Her Sleepless (aka Beggars) Trilogy is my favorite example–a set of books that I have now bought three times because paper and bindings will only hold up to so many re-readings–but her many other science fiction and fantasy works all maintain a stellar quality throughout. I was thrilled when she accepted Kristen’s invitation to post this month and am happy to introduce her take on the issue of women in science fiction and fantasy! 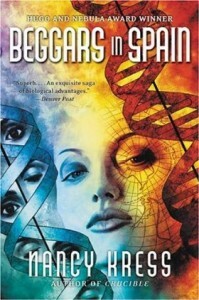 Women in science fiction and fantasy – now there’s a loaded topic for you. At various places on-line you can read that women are (1) under-represented, (2) over-represented, (3) more prominent in fantasy than SF, (4) discriminated against by publishers, (5) preferred by publishers, and (6) almost anything else you care to name. Historically, of course, SF was a male preserve. Look at the Tables of Contents of the early pulps, and there are vanishingly few female contributors. But the influx of women into SF in the late 1960’s and throughout the ‘70’s changed that. Not only were there more women writers, but there also came to be more female characters in SF besides the hero’s girlfriend or the scientist’s beautiful daughter. A few years ago I decided to see if I could accumulate some actual data on this volatile topic. So I went through every single name in the SFWA Directory, counting “male,” “female,” and “other.” (The “other” presumably know which gender they belong to but I didn’t know because they are using initials or unisex names like “Pat” or “Terry” and I have not met them personally.) The results were: About 40% of SFWA is female. Next I went through the Nebula- and Hugo-award winners for the last thirty years. I found that women have won about 40% of the awards, which argues against discrimination in the award-voting bases. However, women are over-represented among the winners of Nebulas (voted on by other writers) and under-represented among Hugos (voted on by Worldcon attendees and supporters). I’m not sure what that means. As for discrimination by publishers: I have no hard data, but I don’t think it likely because so many editors are female. These people look for books that will sell, and my impression is that they don’t care if the books were written by a man, a woman, or an aardvark. On the other hand, it may be that more SF readers are male (as indicated by the Hugo voting?) and publishers naturally take that into account. What about the oft-repeated idea that women write fantasy and men write SF? Again, no hard data, because (among other difficulties), you would have to come up with neatly conclusive definitions of both sub-genres. Whole panels at cons are regularly devoted to trying to create these definitions, and no two ever come to the same conclusions. (Most come to no conclusions at all, but just carry the topic around in circles for an entertaining hour.) But a quick look at two of the most successful series of the past few years certainly calls the idea into question. Suzanne Collins’s HUNGER GAMES is SF, and George R.R. Martin’s GAME OF THRONES is fantasy. One area where women are under-represented is hard SF, extrapolating in a real way from real science: astronomy, genetics, physics. There are some of us who write hard SF at least some of the time (Joan Slonczewski, Catherine Asaro, Vonda McIntyre, me), but we are much out-numbered by our male colleagues (Brin, Benford, Bear, Landis, Flynn, Nordley, et. al.) This may change as the new generation of female writers pursues science interests and degrees. But I have to say I don’t see much sign of change yet. But science fiction and fantasy are both still-evolving genres. Once, someone famously remarked, “the golden age of science fiction is twelve.” That’s no longer true. As SF brings us more morally complex, emotionally deep, and intellectually stimulating stories, both writers and audience change. It will be interesting to see where all that goes in the next decade, in terms of gender and otherwise. 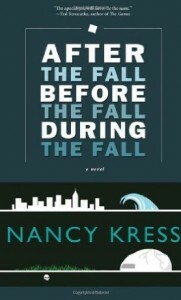 Nancy Kress is the author of thirty books, including fantasy and SF novels, four collections of short stories, and three books on writing. 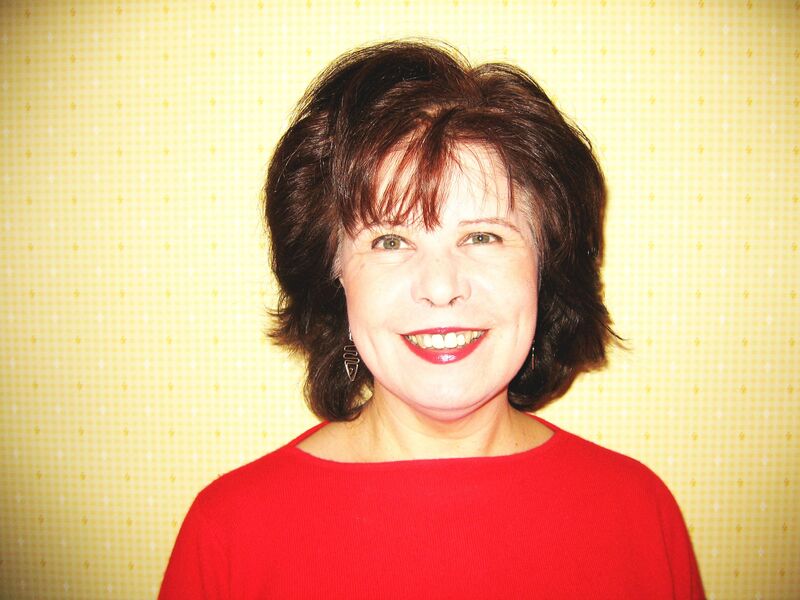 For sixteen years she was also the “Fiction” columnist for WRITERS DIGEST magazine. She is perhaps best known for the “Sleepless” trilogy that began with BEGGARS IN SPAIN. Her work has won four Nebulas, two Hugos, a Sturgeon, and the John W. Campbell Award. Most recent books are a collection, FOUNTAIN OF AGE AND OTHER STORIES (Small Beer Press, 2012), a YA fantasy written under the name Anna Kendall, CROSSING OVER (Viking, 2010); and a short novel of eco-terror, BEFORE THE FALL, DURING THE FALL, AFTER THE FALL (Tachyon, 2012). Kress lives in Seattle with her husband, SF writer Jack Skillingstead, and Cosette, the world’s most spoiled toy poodle.